I was actually going to ask you about some of this at Austin. I think its a great idea to participate more in the Symfony ecosystem, I'm even curious to see if there is a possibility of having "drupal commerce" without the Drupal part (unsure if there is any crazy project that might want that though) . Hah, too funny - totally missed the anonymous comment settings when I relaunched. Thanks for letting me know. And yeah, I'm not sure how much we can really manage without Views and Rules, but I think we can at least begin by identifying third party payment bundles / components that we can use and perhaps moving our price and address systems upstreams into general components (as the projects I've evaluated, Sonatra / Sylius, don't really appear to accommodate all that we currently do). Let's chat more in Austin! Given that the larger PHP world is moving towards the building of discrete and pluggable modules with a framework-level event system, the idea of building Commerce like is not a new idea. The release of ZF2 saw the birth of SpeckCommerce. However, it seems to have moved very little, being more of a response to the lag-behind of Magento. 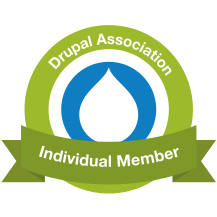 However, given the existing weight behind Drupal & Drupal Commerce, it is far more likely to succeed in the long haul. High hopes for Drupal 8 and Commerce -- truly moving to the next generation.